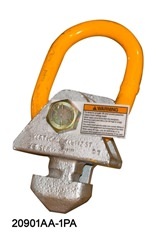 Designed to Connect Lift Slings to Side Apertures on ISO 668 Container Bottom Corner Fittings (ISO 1161). WEIGHT: Calculated Weight: 48.50 LB. Use the rotary lift lug to connect lifting slings to the bottom side apertures in ISO 668 Type freight container corner fittings (ISO 1161). 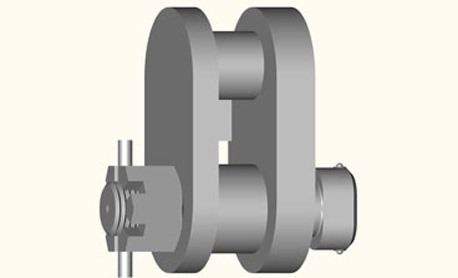 When toe of the lug is inserted into the aperture, it is rotated manually, using the crosspin, to a lock position 90° offset from its entry position. When the sling is lifted, the flat sides of the toe head bear up onto the internal "ceiling" wall of the corner fitting and are thus held in the lock position during the lift. Because the body of the rotary lug freely rotates about the toe head, the lift sling leg can assume any angle from between 30°* to 90° from horizontal without changing the internal bearing of the toe head inside the corner. 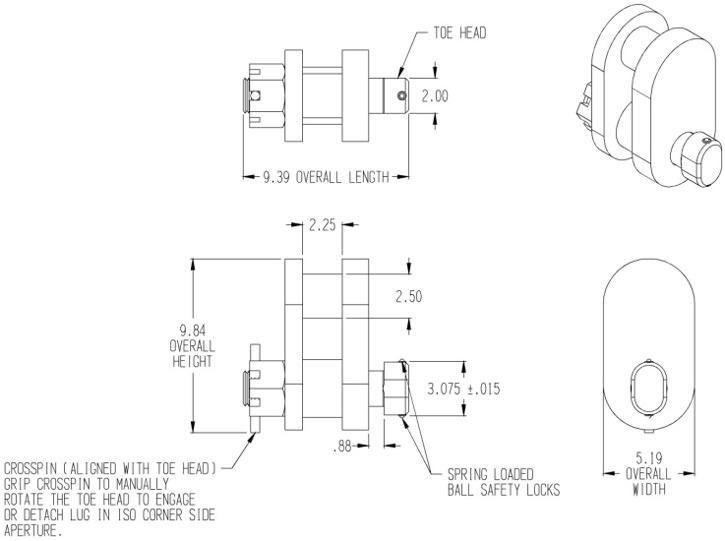 The assembly has an additional safety feature to help prevent the lug from accidental dislodgement, under unstable dynamic conditions, where it is not practical to have personnel standing by to insure that the 90° interlock of the toe in the corner fitting is maintained prior to the final lifting. To insert the assembly, align the toe head for entry into the aperture in the corner fitting. Tilt the body back slightly and lay the bottom ball lock inside the aperture, depressing it as the body is tilted up against the side of the corner and allowing the top ball lock to enter the aperture. Push against the body & manually turn the toe from the opposite end, using the crosspin to grip and turn it. Since the crosspin is in the same plane as the toe head, you will see when the 90° interlock is achieved. Once interlocked, the ball locks expand to resist dislodging. To remove, reverse the procedure.